Eliminates Snoring, Teeth Grinding, Sleep Apnea, Bruxism & TMJ. This mouth breather version features 2 large breathing holes , size 0.3--0.5cm, and a thicker base with air spring for increased bite opening and gentle TM joint decompression. The higher sides improve retention while sleeping and the tongue guard control the tongue position. Ready form technology allows you to wear this mouth guard right out of the package without boiling and biting. Made from soft medical grade silicone making this one of the most comfortable anti snore devise in the market. 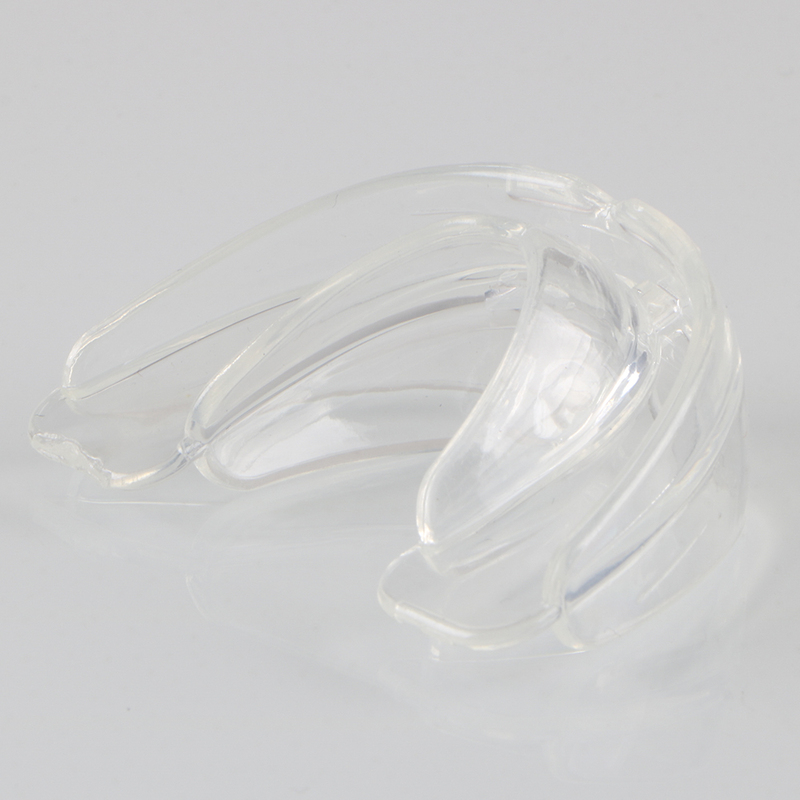 The Anti Snore Mouthpiece is an oral appliance worn at night for snore prevention and sleep apnea. The mouthpiece positions the lower jaw slightly forward during sleep. This widens the respiratory tract, enabling air to flow unobstructed through the breathing passage, which allows you to breathe more freely and stop snoring. The Breathe-Easy Mouthpiece also helps with Bruxism, a condition that causes you grind your teeth at night.